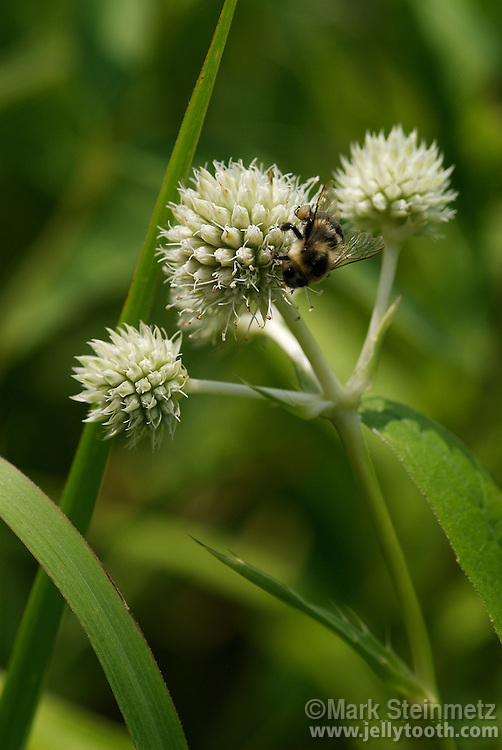 Bumble Bee (genus Bombus) on flowers of Rattlesnake Master (Eryngium yuccifolium). Native to North America, this wildflower species can be found in prairies and other dry sites. It's species name, yuccifolium, refers to it's yucca-like, sword-shapes leaves.